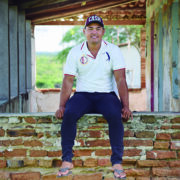 Marcos Antônio Rocha, 29, He joined the Rural young entrepreneur Program (PJER) of Adel in 2012. He brought with him the desire to remain in the community Chaparral, where was born and raised, about 14 km from the seat of the municipality of Tejuçuoca (THIS). 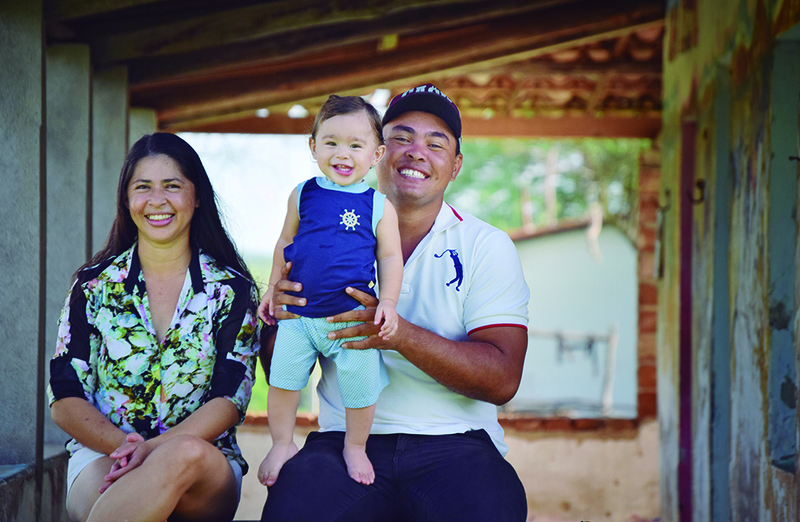 Son and grandson of farmers, Marquinhos, as it is known in Chaparral, is the fourth of six children of Antonio Floriano and Maria Ieda. From a very early age he began working in agriculture. At the age of nine, I started helping his father in brushed and helped your mother also in household chores. Marquinhos has followed since childhood challenges and growth of birthplace. His family was one of the pioneers in the settlement, with 50 families. Before, the community did not have access to school bus, health and sanitation, less still some type of leisure. There was entertainment and not access to the first stage of basic education. He and his brothers began to study only from the first grade of elementary school and traveled on foot, about half an hour, for the school functioned in a neighboring community. The time was passing and soon the local government provided school bus to transport them to school. The settlement was developing and at the same time, the number of families and young people grew up. Marquinhos guard fond memories of moments of fun with friends and the passions he grows from adolescence. First football, then the music. "We gathered in makeshift camps, a lot of people watching. I spent playing in basic categories in with a local technician Tejuçuoca, and then there's the chance to play professionally in other places. But at the time I had another passion that combined with the sport and that made me give up this opportunity, the song ", reports. The musical talent of young earned a financial income to help parents pay the costs of home. And at fifteen, He began singing professionally in a band of municipality. In the same period, He saw your family crumbling after the death of your mother. In 2010, following the custom of many young people of the interior, even the older brothers, Marquinhos left for São Paulo in search of new opportunities. However, not adapted and after six months he returned to time for your Christmas community. In Chaparral, resumed its activities and music never stopped. During this new phase he went on to collaborate with various social projects in the community. Isidore's father was the first President of the local association and always encouraged the children to participate in the meetings. And the restlessness of the young with the absence of youth projects have you done to get new knowledge and mobilize other young people to strengthen the community work. Marquinhos assembled a group with more than 30 young people to think and create actions directed to the community. In 2012, He had the opportunity to join the Rural young entrepreneur Program (PJER) developed by Adel, e, began to spread among the friends of the community what they learned in the program. The goal was to share knowledge and discuss with young people with new ideas and projects for the promotion of local development. "Like most of the young people in the community in General that I include myself in the Middle, We don't know our own identity. IE, We don't know our origin, don't know from where we came and with it you get a little lost. Especially when high school ends. And slowly we been doing this, come changing ", emphasizes Marquinhos after quoting PJER in your life's significance. During the formation of he prepared a project PJER focusing on restructuring the Community Association and in appreciation of local culture. In 2013, the settlement Chaparral received through Digital Territories Program developed by the Ministry of agricultural development (MDA), in partnership with the Ministry of communications, a Digital Home. Marquinhos became Digital Home monitor and passed along with other young people to manage the space, which is composed of 11 computers, being a server, stabilizers and furniture. The Digital Home work at the headquarters of the Community Association and in addition to keeping the space clean and working every day on a voluntary basis, young people help the residents in access to computers and to hold workshops, basic computer science. "Much has changed here. In addition to encouraging the youth to develop activities within the community, It also had many young people who had to walk very far to get some work done ", emphasizes Marquinhos. 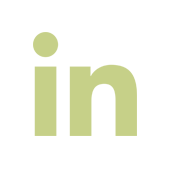 In the last five years, several projects have been developed with the support of Marquinhos. currently, In addition to working as a singer, He became successor in community leadership, assuming in 2018 the new President of the Association of Settlers of Chaparral Farm. Invested still in area of sheep to cut, formed your own core family, today is Dad and reference in the region as a social entrepreneur and local leadership. 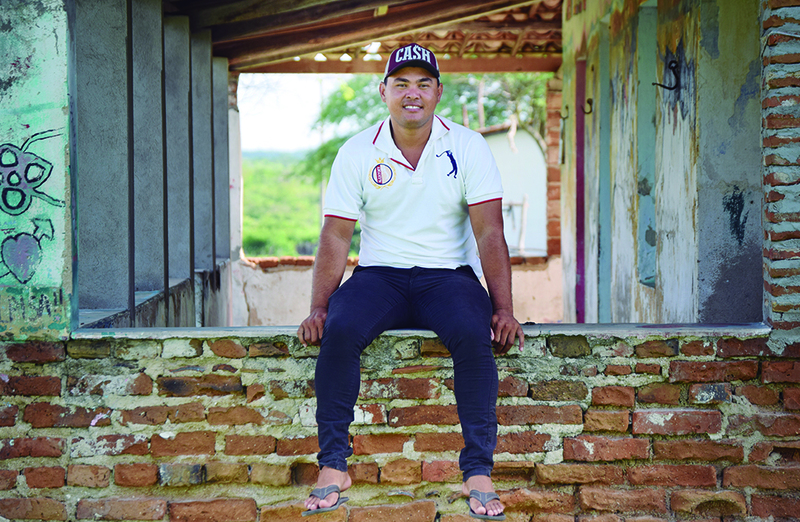 Marquinhos idealises a new rural for the future with more opportunities for young people. Seu desejo é que surjam mais projetos para Chaparral e Tejuçuoca que viabilizem o engajamento e a participação dos jovens e de agricultores no desenvolvimento da comunidade e do município.